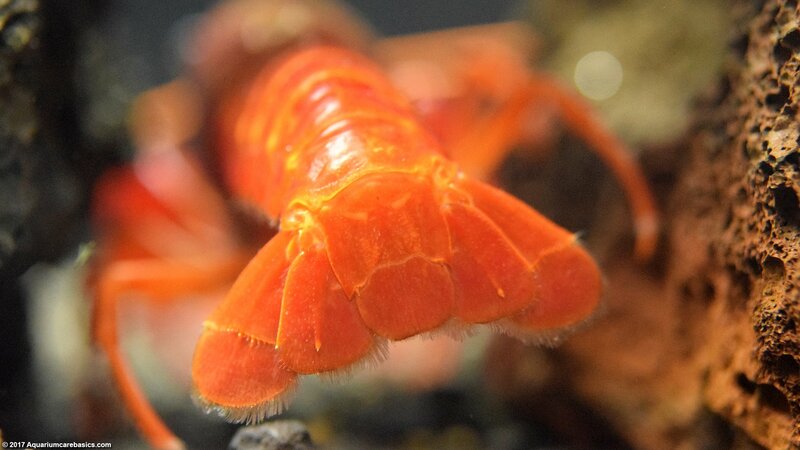 A Tangerine Lobster is a very colorful freshwater aquarium crayfish that can be a great addition to a freshwater tank under the right circumstances. 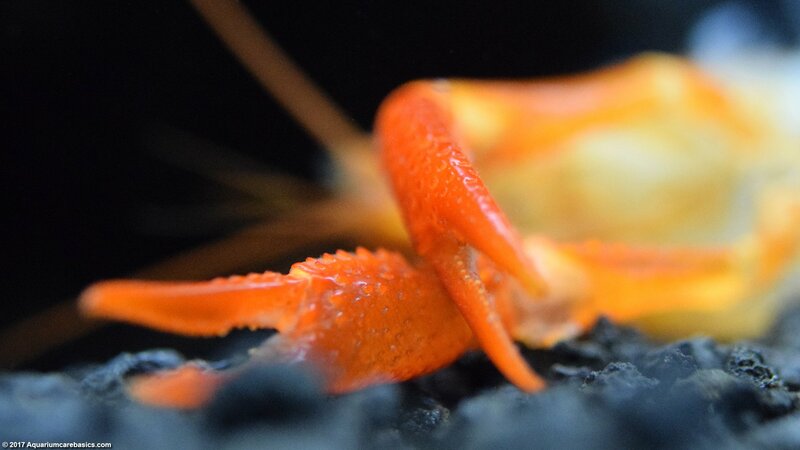 The bright orange shell of a Tangerine Lobster adds a magnificent accent color against black gravel or substrate. 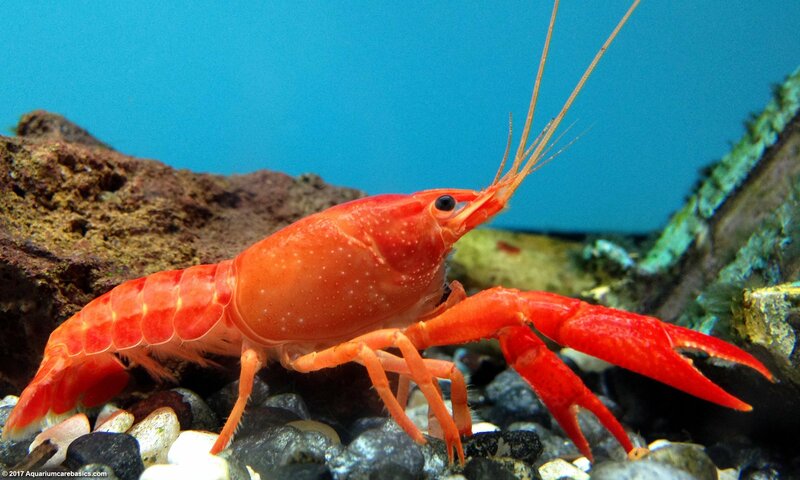 They can really compliment a tank’s color scheme against light brown or grey colored rocks, and black backgrounds. 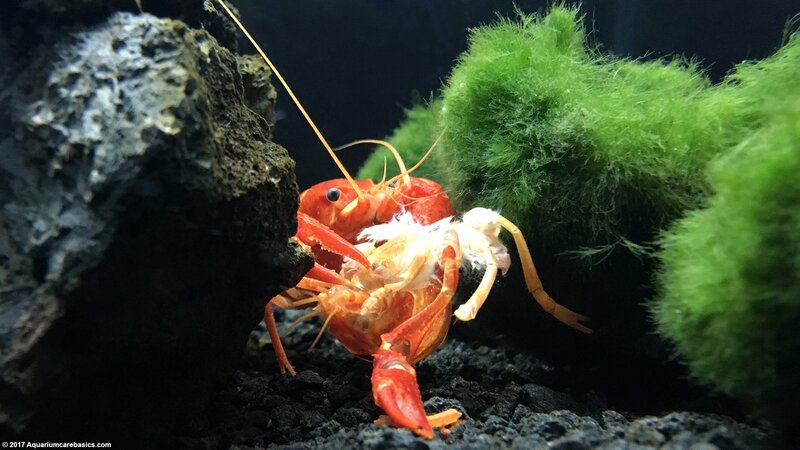 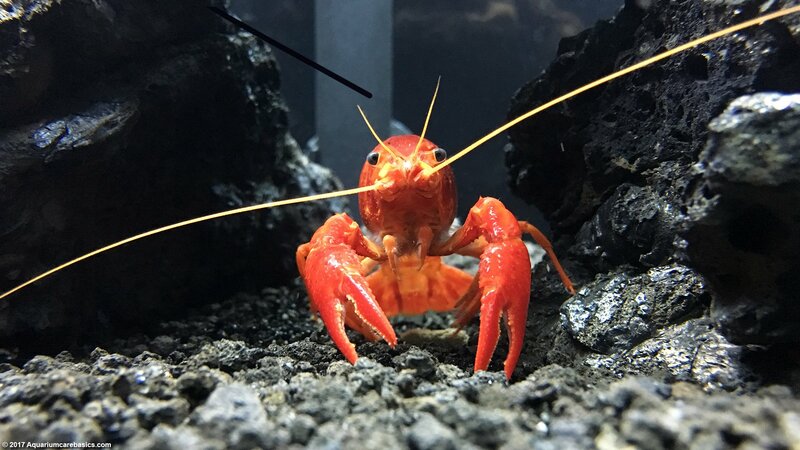 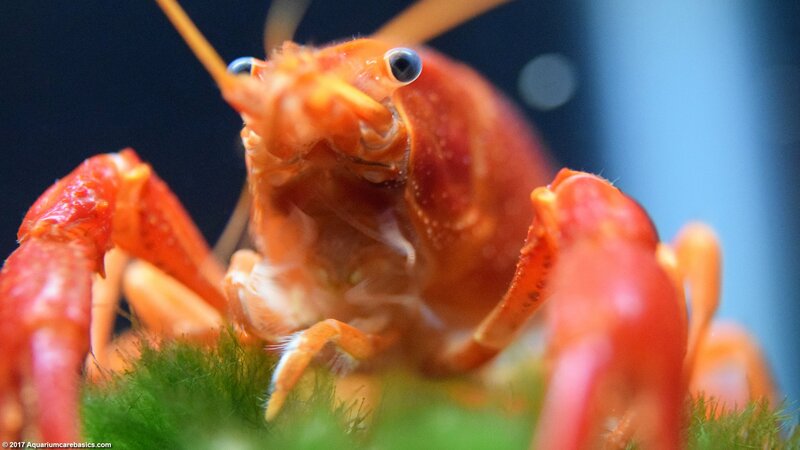 Its not uncommon for pet stores to market these or similar looking specimens as Tangerine Crayfish, or similar variations, so be mindful of that. 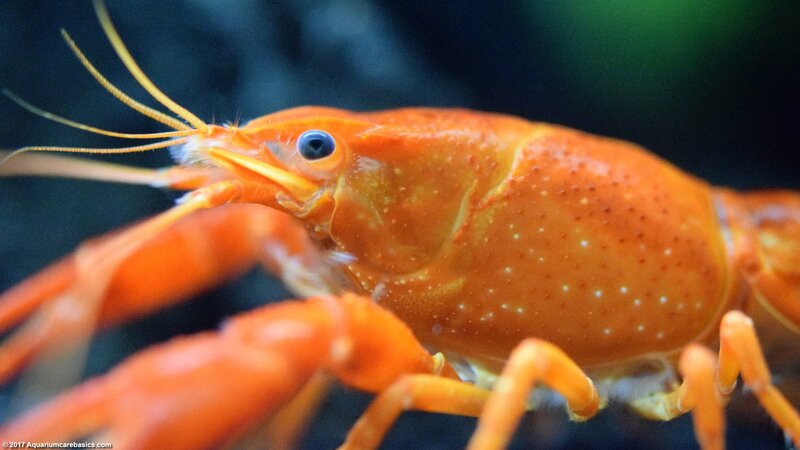 Beauty aside, a Tangerine Lobster is not a tank mate for all situations. 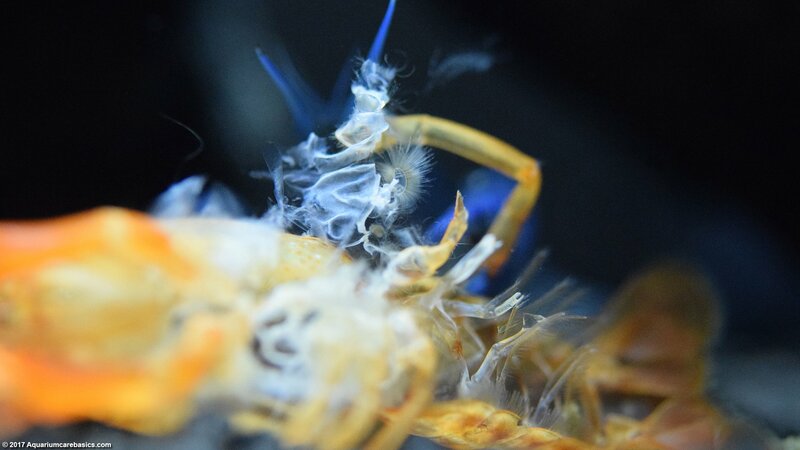 If there are any questions about compatibility be certain to check with the clerk at the shop before buying. 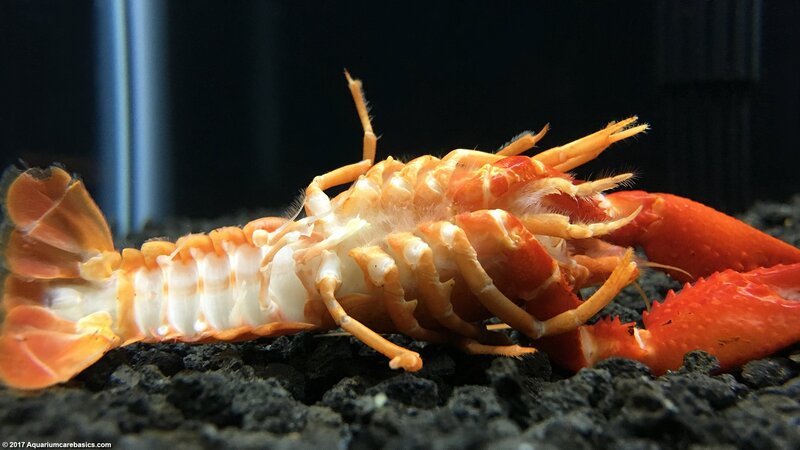 And along these lines, make sure the specimen looks healthy and has all its claws, legs, eye stalks and antennae before buying. 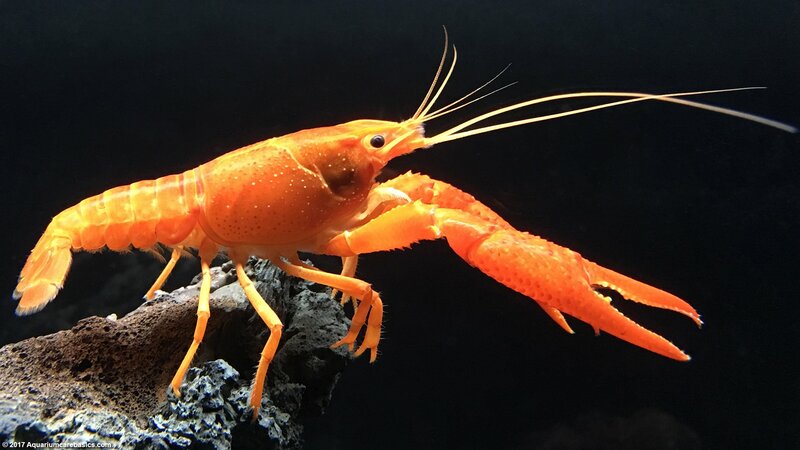 One Tangerine Lobster needs a good size aquarium to settle into. 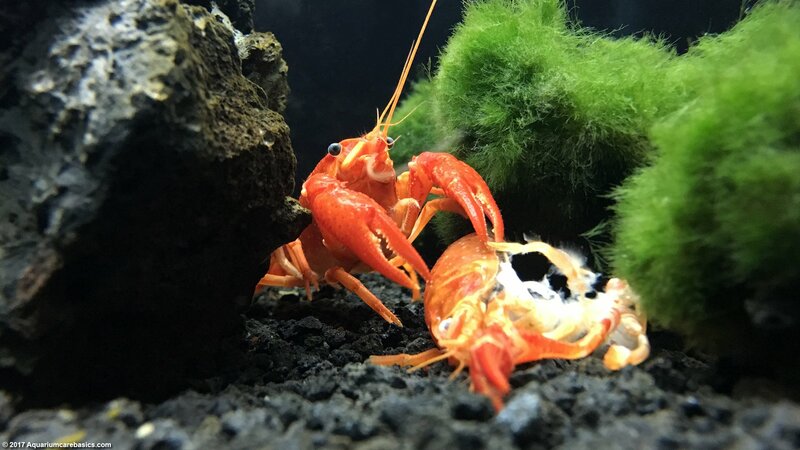 A 20 gallon long tank seems to be the smallest tank to start with to keep one lobster. 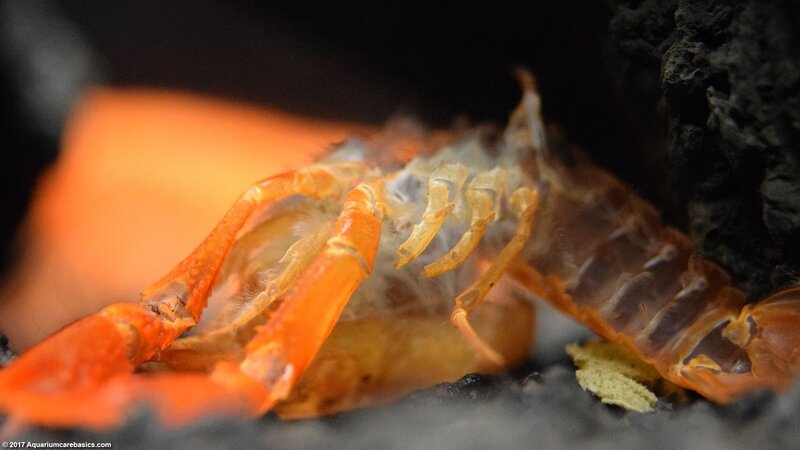 A 20 gallon tank has a decent amount of bottom tank space for one Tangerine Lobster to move about on. 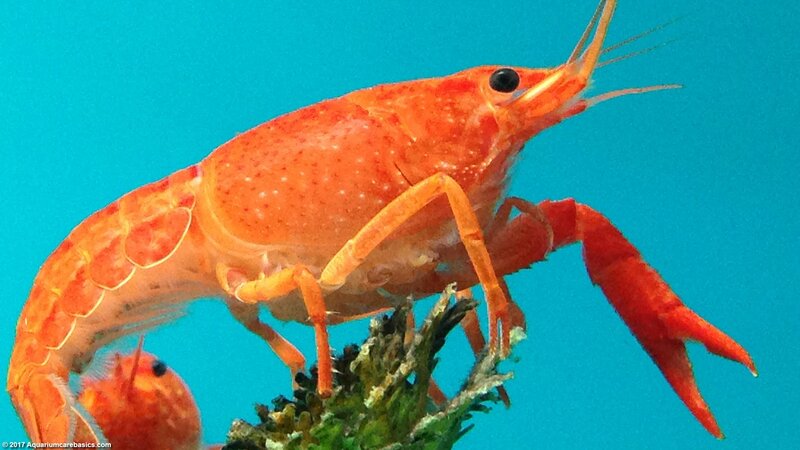 A Tangerine Lobster can be territorial and aggressive toward their own kind or other aquarium crayfish. 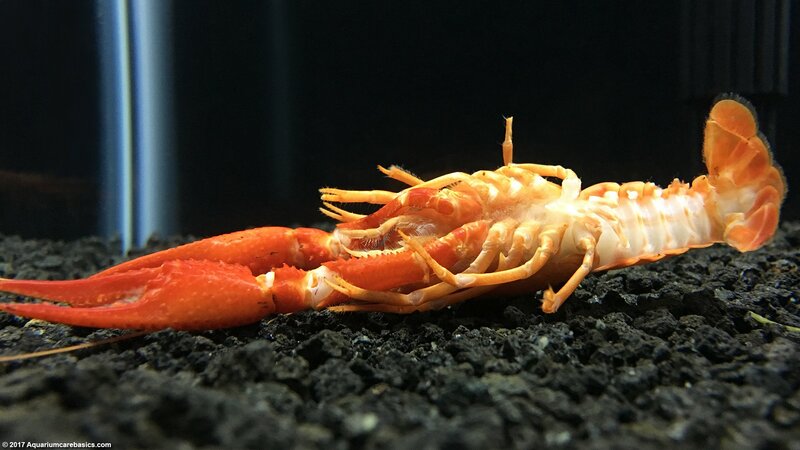 They can also be aggressive toward small fish, aquarium shrimp, snails and anything else small and slow enough to get their claws on. 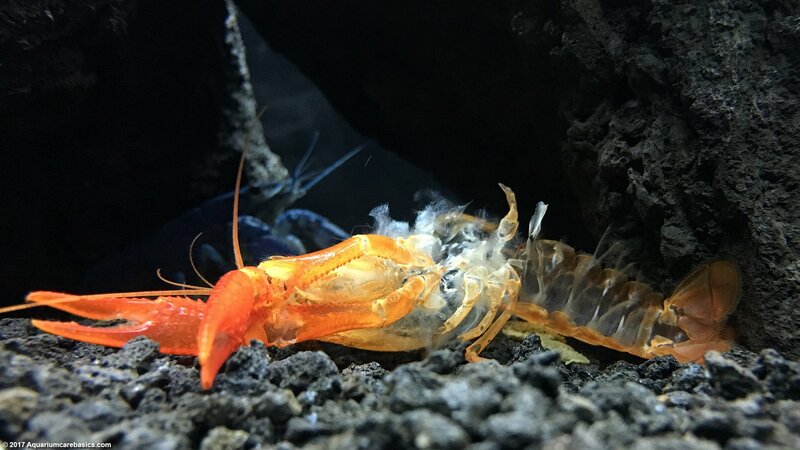 Because of this, they are not really a good choice for community tanks, or even tanks with large cichlids or other roughens. 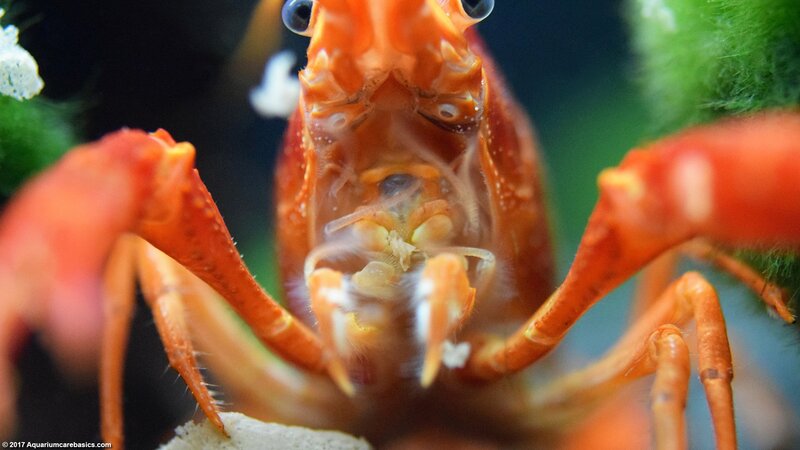 Even with mid-size cichlids such as Jack Dempseys or Texas Cichlids, the battle lines may be drawn soon after the species are put together. 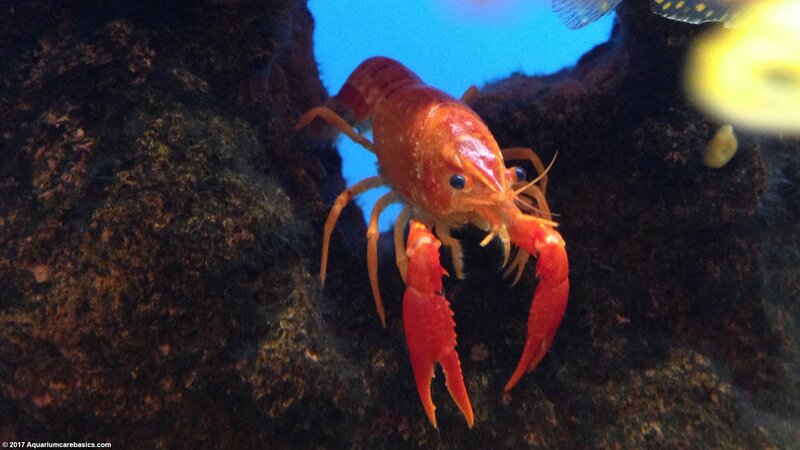 It may only be a matter of time before an eye is lost, or scales are missing, or a claw is missing, or worse. 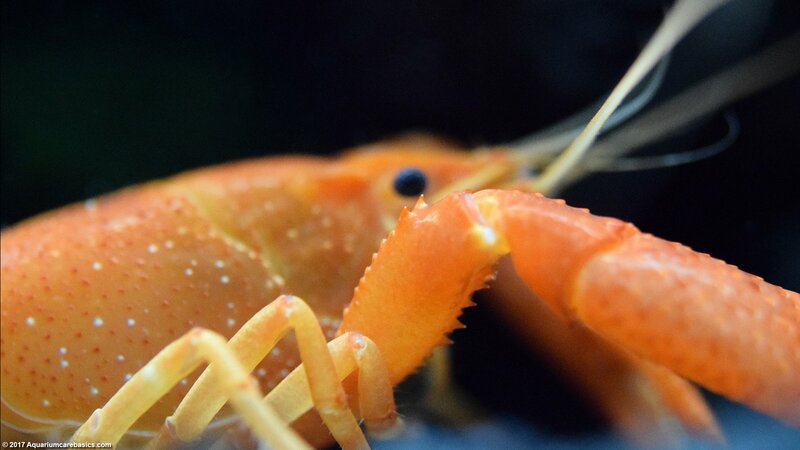 A Tangerine Lobster needs an environment with plenty of places small to explore and hide in. 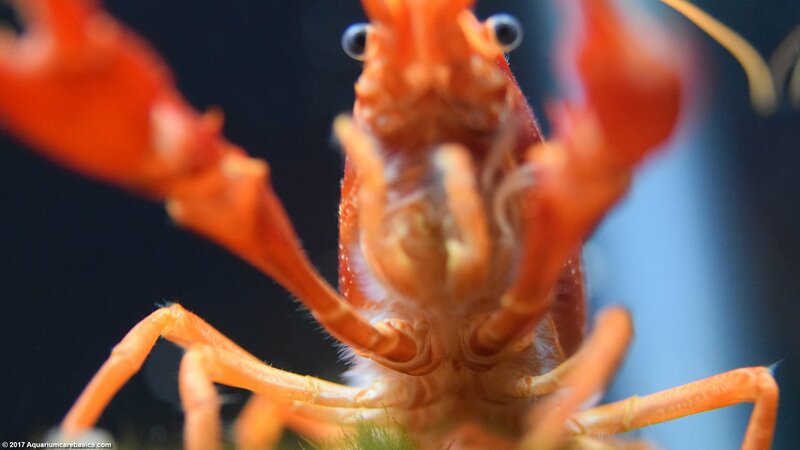 A Tangerine Lobster will back into a hiding spot and stand on guard there for hours. 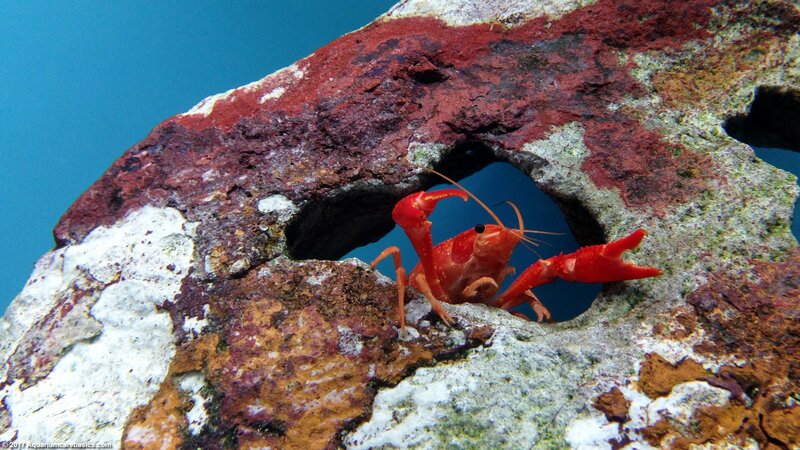 So be sure to provide a habitat that has plenty of cave and crevices. 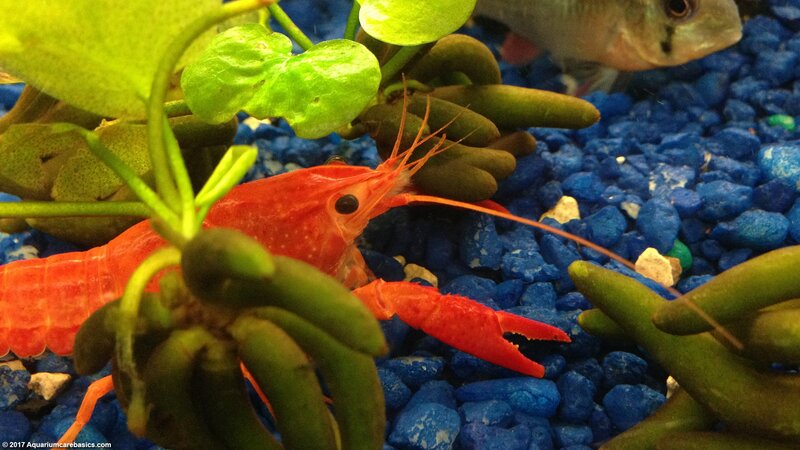 Having an abundance of hiding spots suits their personality. 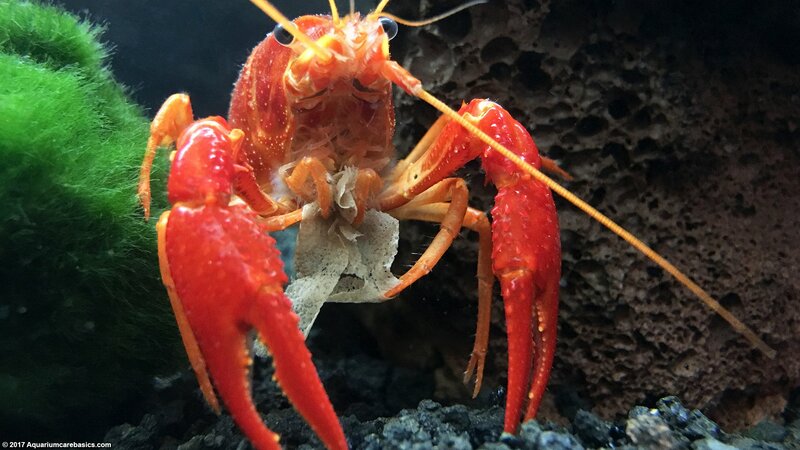 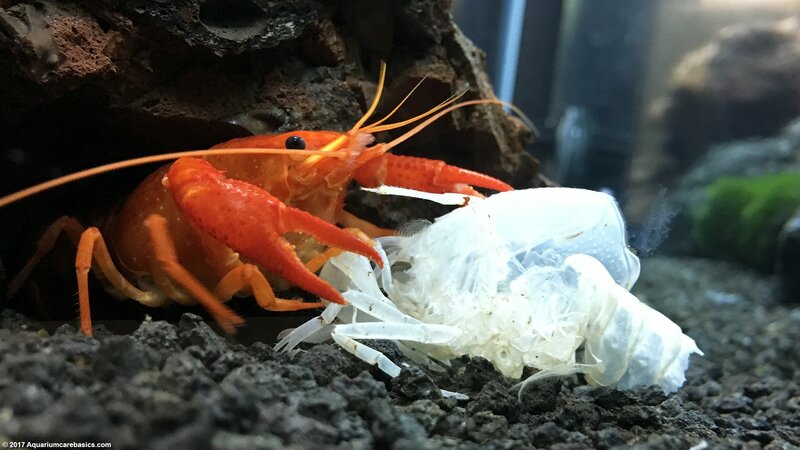 Moreover, having safe spots is particularity important during the molting process when a Tangerine Lobster is most vulnerable…especially if a roughen with a good memory decides its payback time for past misgivings.